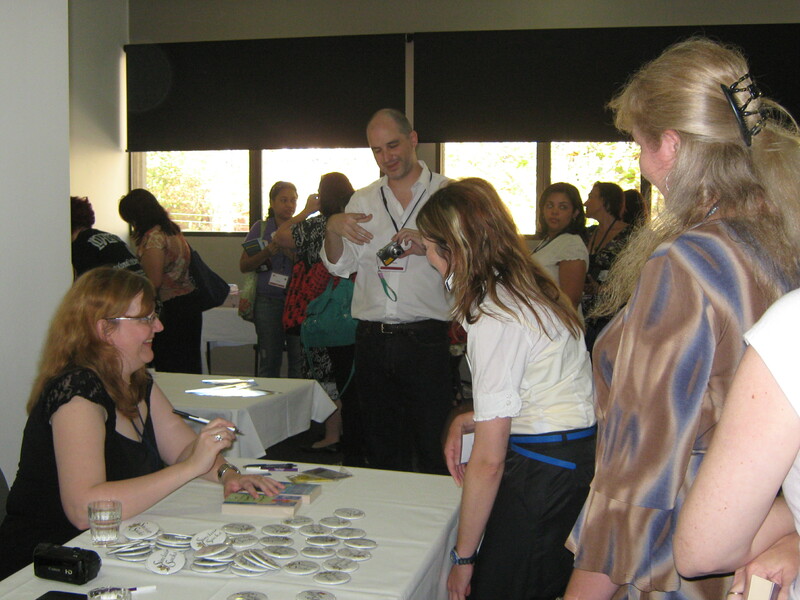 The first ever Australian group book-signing of romance authors was held in conjunction with the inaugural Australian Romance Readers Convention, in Melbourne in February 2009. There were 25 authors signing at that event. More than 250 readers attended. The event will be open to everyone. Entry is free for ARRA members and delegates at the RWA conference. There will be a $5 entry fee for members of the general public. Bookings are encouraged. All those who book for the event will also have the opportunity to order a copy of the souvenir booklet, which will include photos and information about all the attending authors. Lucy from Ever After will have a bookshop at the conference, and will have romance books available for sale at the book-signing event, and you are also welcome to bring your own books to be signed. ARRA members should make sure to bring their membership card so that they can get in for free. I had no idea there were so many Australian romance authors! I’ll have to expand my horizons! I live in Coogee I can walk to the CPlaza in 15mins, def on my ‘to do’ list.